New York, NY — Council Member Margaret S. Chin has sent a letter to Commissioner Robert Tierney, Chair of the Landmarks Preservation Commission, urging the Commission to calendar the historic Bialystoker Center for Nursing and Rehabilitation, located at 228 East Broadway on the Lower East Side of Manhattan, for landmark designation. 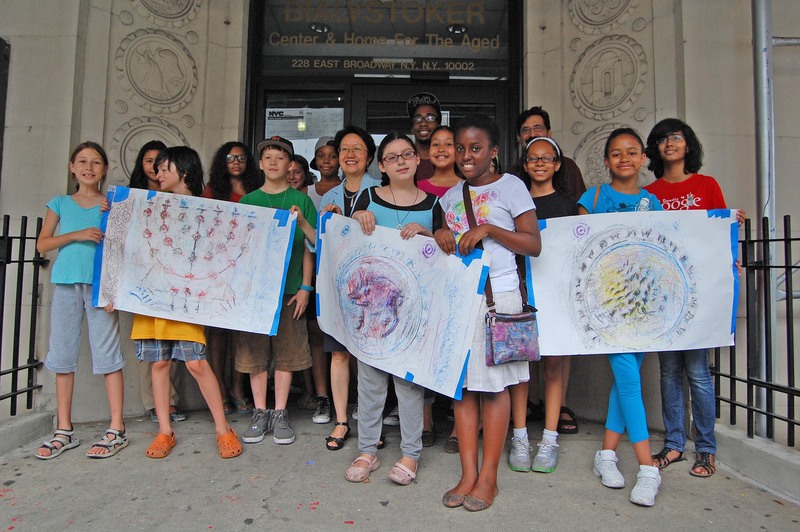 “I urge the Commission to move swiftly to calendar the landmark designation of Bialystoker, an art deco style building that has both architectural, as well as historical significance to the Lower East Side community,” Council Member Margaret Chin stated in her letter to Commissioner Tierney, dated July 6, 2012. “As a resident of the neighborhood, I walk passed this distinguished building several times each week and never fail to admire its commanding presence and its unique ornamentation expressing Hebrew symbolism in a modernist style,” Micthell Grubler, a Founding Member of Friends of the Bialystoker Home said. “We thank Council Member Chin for her support of the landmark designation of this historic building which is so important to the history of immigration on the Lower East Side and we eagerly await the action by the Landmarks Preservation Commission to calendar the Bialystoker Home,” Joyce Mendelsohn, a Founding Member of Friends of the Bialystoker Home said. Housing the largest and most prominent of all the “landsmanschaftn” (mutual aid societies) on the Lower East Side, Bialystoker was built by working class immigrants who fled persecution in Bialystok, Poland, many contributing $10 per brick on an installment plan. The building survives as a major visual element on East Broadway symbolizing and recalling the Jewish history of the Lower East Side. The ten-story structure features a gold-color brick exterior and a unique, decorative entrance crowned by the name “Bialystoker” in Hebrew-style letters and framed by twelve medallions in relief, representing the twelve tribes of Israel. Following affirmative votes by the Community Board 3 Landmarks Committee and Parks Committee, the full board voted in favor of landmarking the Bialystoker Home on April 24, 2012. When efforts failed to stop the closing of the home, which occurred on November 1, 2011, community residents and concerned preservationists formed the grassroots advocacy group: Friends of the Bialystoker Home, in an effort to bring attention to the historical, cultural and architectural significance of the building and campaign for landmarks protection. Since then, a dozen local and city-wide sponsoring organizations have joined the effort to save this historic building.